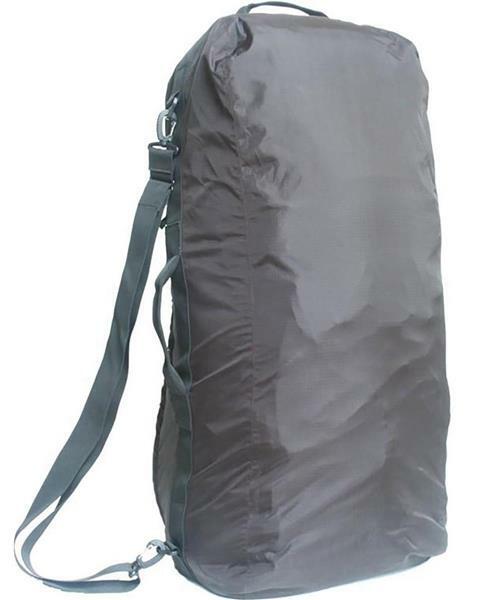 The Pack Converter Duffle is made from a durable 210D ripstop Nylon and all seams are tape sealed. It's the perfect solution for protecting your backpack during airport check-in and travel, and doubles as a rain cover when backpacking or trekking. When not housing your backpack it can also be used as a regular lightweight duffle bag for every day use.